I might be being overly critical here, but I can't help but feel like the systems in most modern shooters tend to make the violence center stage. In Bioshock and other shooters of it's type most everything in the game is supported by either an upgrade or resource collection system that is fed by the conflict. As much as these types of games try to humanize the world's inhabitants, I have a hard time seeing them as anything other than a treasure chest that fights back. For me this is the thing that makes the violence seem like garnish as opposed to the main course, which I don't think is a connection most non games players are able or willing to make. Great podcast as always, guys. I'm staying away from the Bioshock Infinite coverage, because I'm wary of unintended spoilers, but I even listened to the first part of the previous one. That's how much I trust you. Today's was an interesting topic. I think you guys omitted one of the best entryways into the current gaming zeit geist: Minecraft. It's something that non-gamers can easily relate to, since everyone understands the concept of building things with blocks, and the potential for creative pursuits is obvious even to laymen. It is also one of the most popular games worldwide, and especially good for kids. Other than that, I think the answer depends on your goal. Are you trying to get that person to just try a game and enjoy it, or are you trying to get them to _love_ videogames? If it's the former, I think that you need to present experiences that are as cinematic as possible, since that's something they can usually relate to. That's why Tomb Raider and Uncharted are very popular among casual gamers, and probably part of why The Walking Dead has been so popular. Limited interactivity is actually a boon in those cases, I feel. QTEs are welcome. Now, for people who I want to try to convert into gameriantity, like my son, I try to go through all my favorite games. I have found that old adventure games are a good start, because they are very funny and the gameplay is sedate and relatively simple. Even new adventure games like Amanita's (Machinarium, Samorost, Botanicula, etc.) are all very good ideas. And he can enjoy both classic Mario and new Mario just as much, since graphics are not so important for the youngsters. Another good recommendation for initiates is Portal, because the mind-bending puzzles are easy to understand in concept, but actually solving them requires a lot of moving around and interacting with objects from a FPS perspective - which is not as intuitive as I thought before I tried to get my dad into modern video games. For friends and siblings, in general I push onto them the best games I can find that do not demand too big of a time investment, because I think that's still the biggest barrier for casual gamers. A movie takes an hour and a half, two, at most three. Games that last less than 8 hours are usually panned by gamers, and that's a pity. One more thing: Unfortunately, I think that right now there's not a market for a non-violent multi-million exploration game, so there's no chance for a Dear Esther / Proteus version of Bioshock: Infinite. Maybe when we grow old and more and more gamers leave behind their youthful shoot-em-up-or-go-home mentality, we will have those. I'm looking forward to that. Yea, the moment looting becomes a crucial component of gameplay, enemies become loot-bags. Sometimes it's almost exciting to see an opportunity to kill more stuff. Alternatively, some games favor moving around enemies or reward stealthy behavior. That balance to shape behavior is incredibly important for making an experience that doesn't trivialize its violence. Everything means something, even unintentionally. Thanks for the thoughtful comment btw! Awesome comment and I think you're spot-on regarding different collections of games for different people. Journey I would show to the "cinematic" casual type in a heart beat. For those really looking to invest themselves in games, I would lead them into the classic examples of each genre (Chronotrigger!). For siblings, I try to hone in on things they find unique or surprising. The Walking Dead, absolutely, but I would also suggest BioShock Infinite if they can handle it, because they come into games with certain expectations. 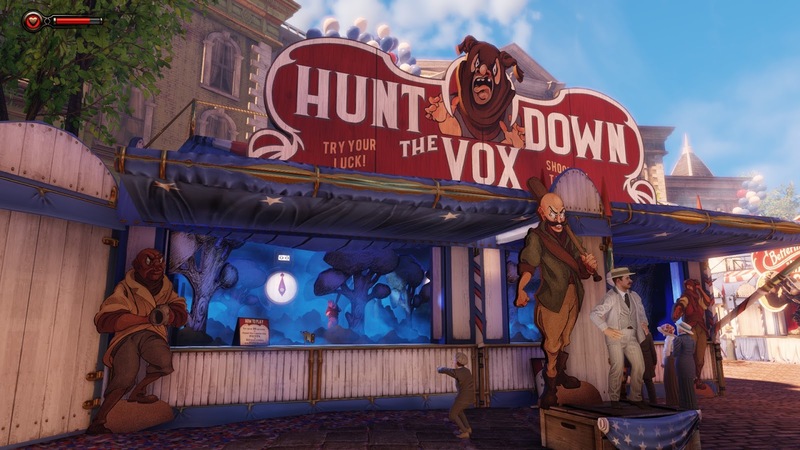 While BioShock Infinite adheres to many of these expectations, it also does some things few can foresee, especially those outside gaming. As for Minecraft, I actually think it's a hard sell for a lot of new players. I find people exploring games tend to want a goal. When the walls are torn down for their exploration, it makes them nervous. Minecraft is an odd case, because it really is surprisingly complex, and it's famous for its lack of a real tutorial. That said, I have seen many kids and non-gamers enjoy it. I think part of it is that right now it's very famous, and they all know what to expect to some extent. I wish I could recommend Journey to people. Unfortunately I don't own a PS3, so I'm out of luck myself. I hope that at some point in the future it makes it to a platform I have - if that fails, I'll just wait until the PS5 rolls around and PS3 become cheap museum pieces. But someday I'll play it, that's for sure. Great points, Michael. I'm trying to think of any games where looting also carries a negative penalty from a mechanical perspective. I'd be interested to see what happens when virtual mugging carries the same types of pros and cons that real life mugging does.